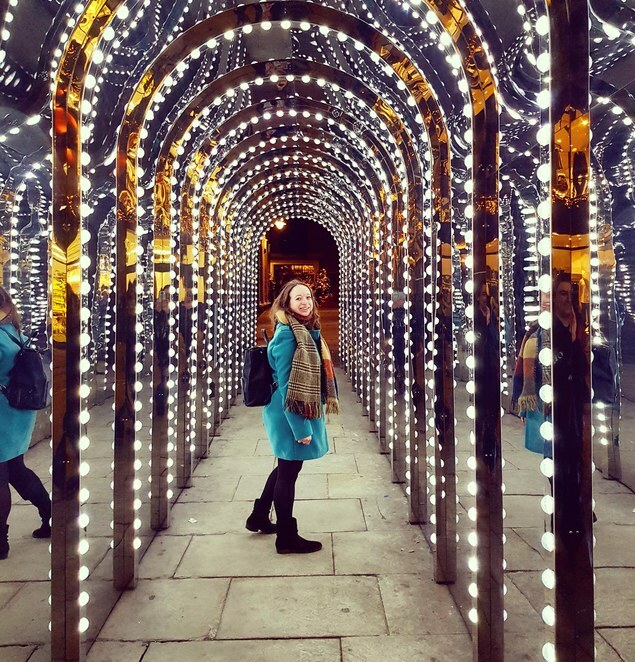 Baby its cold outside, but London is still able to entice visitors into the dark night with its selection of Christmas light displays. Covent Garden, in particular, can always be relied on to have an excellent festive display of Christmas lights. From glittering baubles to shimmering reindeer, their gorgeous display is an annual treat. 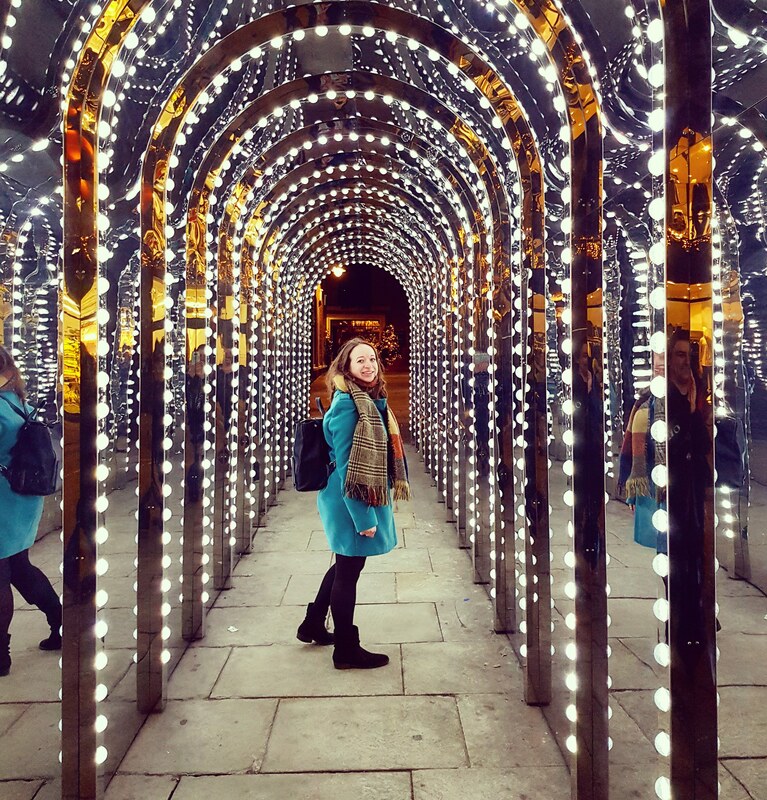 This year, the addition of an 'infinity chamber' light installation at Conduit Court, means that the lights are even more of a must-see. For those of us who were unable to get tickets to Kew Gardens to see their famous 'Tunnel of Light', this is a fantastic stand-in. It is also a free-to-visit attraction, which is another reason to see it. Granted, the installation is a bit off the beaten track - you would need to go down Floral Street, near St Martin's Courtyard, to access it. However, it's relatively hidden location makes it easier to get those all important photos without other people wandering into the shot! The Conduit Court light installation is a bright, vibrant and dazzling way to cheer up a dark night in the capital. Fall through the looking-glass this winter and visit a festive display with a difference.